Over the past few years, the addition of electric motors to conventional gasoline drivetrains has allowed automakers to push the envelope of performance and output further than ever before. It has yielded hypercars like the Porsche 918, McLaren P1, and the Ferrari LaFerrari, all of which boast performance figures that exceed 850 horsepower and 0-60 mph times well under three seconds. For many, that level of face-melting thrust would be enough. But some folks, like the people behind the PSC Motors SP-200 SIN, have far loftier aspirations. 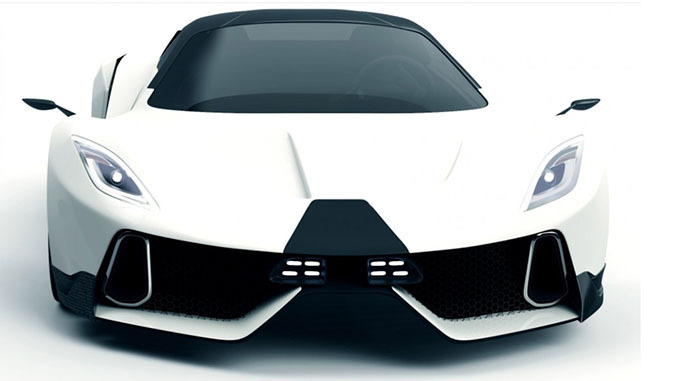 Last week, Las Vegas-based supercar startup PSC Motors sent out a teaser for the SP-200 SIN which included a number of eyebrow-raising figures. Among them was a targeted goal of 1700 horsepower from its hybrid drivetrain, which includes a mid-mounted 9.0-liter V8 that was said to generate more than 1000 ponies on its own, and the remaining 650 horsepower or so would come from the electric motor. Shifting duties would be administered via an eight-speed dual clutch gearbox. Using a mix of carbon fiber and aluminum in the construction of its bespoke chassis, weight was speculated to be around 3100 pounds when all is said and done, and the company projected performance figures of 0-60 in 2.8 seconds and a top speed of 280 miles per hour. But since just last week those figures have been revised substantially, and while that’s certainly cause for some concern for the legitimacy of the project, if it proves true, the PSC SP-200 SIN could usher in an entirely new bracket of hypercar performance. As of today’s announcement, the car’s expected output now stands at a nearly unfathomable 2400 horsepower, with the 700 hp bump coming specifically from the gasoline engine, and the 0-60 sprint has been adjusted to 2.6 seconds to reflect the jump in power. Weight has been revised from 3100 to 3750 pounds, though where the additional 650 pounds came from isn’t specified. That incredible amount of grunt will be routed exclusively through the rear wheels. “When this project was started five years ago, we wanted to do something new, something special that can pay tribute to some of the world’s fastest cars,” says PSC CEO Antonio Calva. “Nobody needs 1,000 horsepower, so we gave it more." 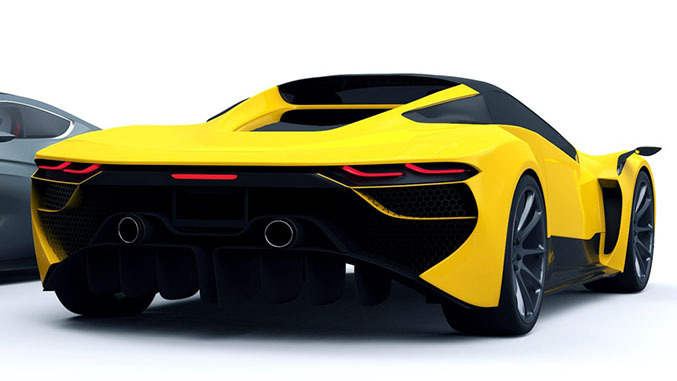 The electric motor will be mounted to the rear axle, and the company expects the SP-200 SIN to be able to drive solely on battery power for up 60 miles, with recharging either done by wall outlet or on the road by way of the gasoline engine. Five years on and with production slated for next year, we’d normally expect to see something beyond computer renderings, but we’ll hold out hope that PSC Motors can beat the odds stacked against them. Of course, they’re also not the first automotive startup to make ambitious claims – but we’ll set aside our skepticism for the time being and revel in the “what if” of it all. PSC says it’s now taking orders for the first five examples of the SP-200 SIN (with 35 vehicles built in total) and intends to start production next year. We’ll be keeping an eye on this one, so stay tuned for updates as we have them.